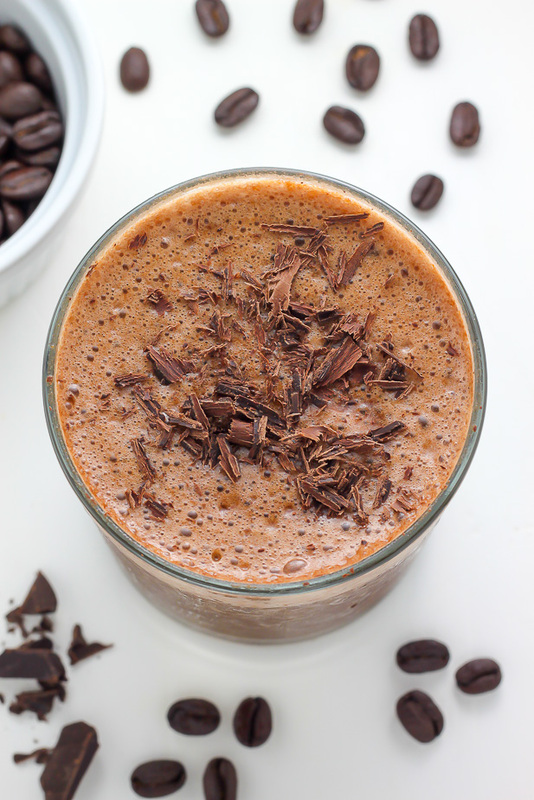 Lusciously thick and creamy, this Chocolate Mocha Breakfast Shake is an eye-opener! I grew up in a coffee loving household. My mom drank a few cups everyday, and when I began to take interest in it around 13, she had no issues granting me full permission to have a cup here and there; by the time I was 18 I was a full-blown coffee fanatic! Fast forward 10 years and not much has changed; my adoration for a strong cup of mocha is stronger than ever. During the Winter I’m more than happy to spend my days sipping simple cups of strong black coffee. But during the sticky months of Summer, I crave something a little more. Enter this Chocolate Mocha Breakfast Shake! I created this drink mainly because we live nowhere near a Starbucks, and sometimes a girl (or guy) needs their frozen blended coffee fix. Nah mean? Wanna know the best part? 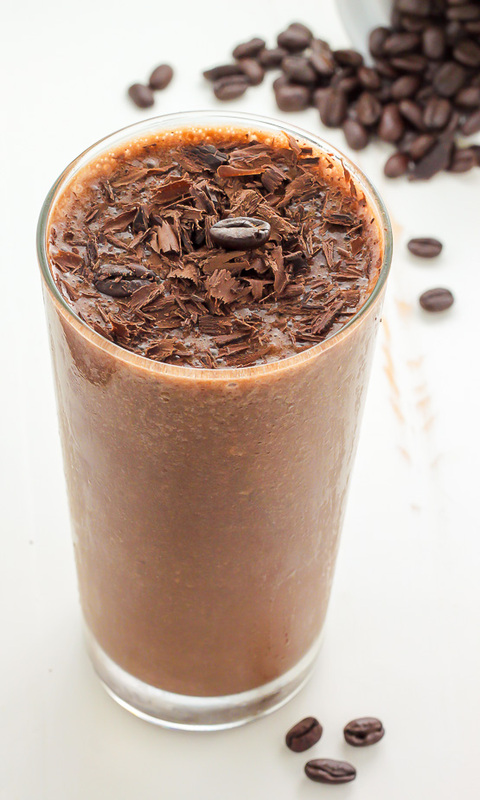 This SUPER DELICIOUS shake is low in calories, vegan, gluten free, and waaaaaaay cheaper than buying your coffee from the shop. 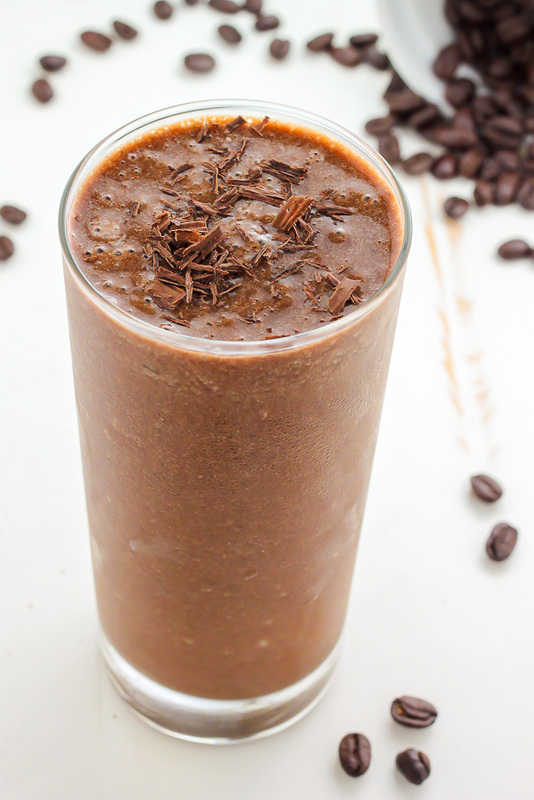 Made with cold coffee (I use freshly ground mocha beans, but use what you have/like), unsweetened cocoa powder, pitted dates, a dash of cinnamon, frozen bananas, and ice – this is one of those “indulgences” you can do on the daily and feel zero guilt. 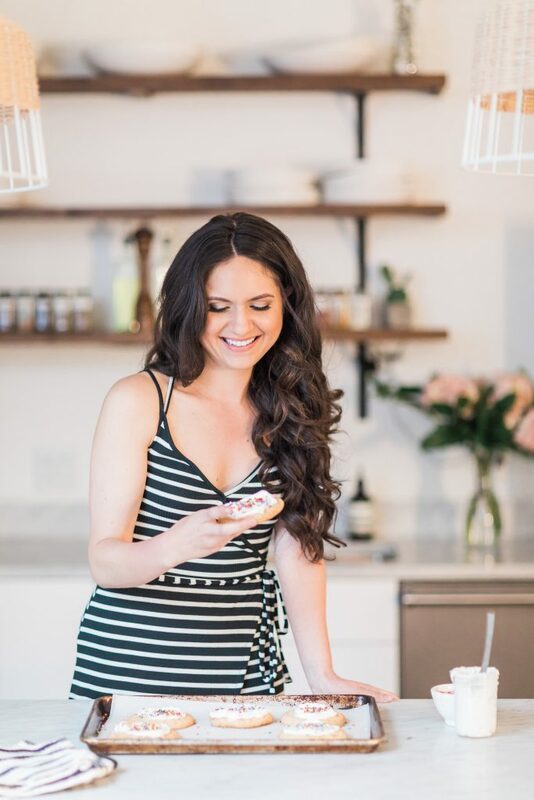 *I know many of you request calorie info for recipes like this; I did a rough calculation and found this shake to be approximately 180 calories per serving. 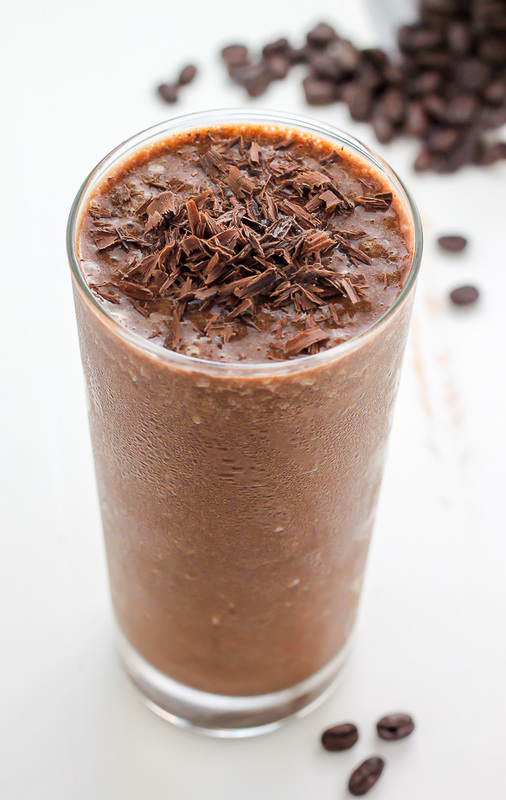 Thick and Creamy Chocolate Mocha Smoothie! What s great thing! It would be like coffee and breakfast in one! 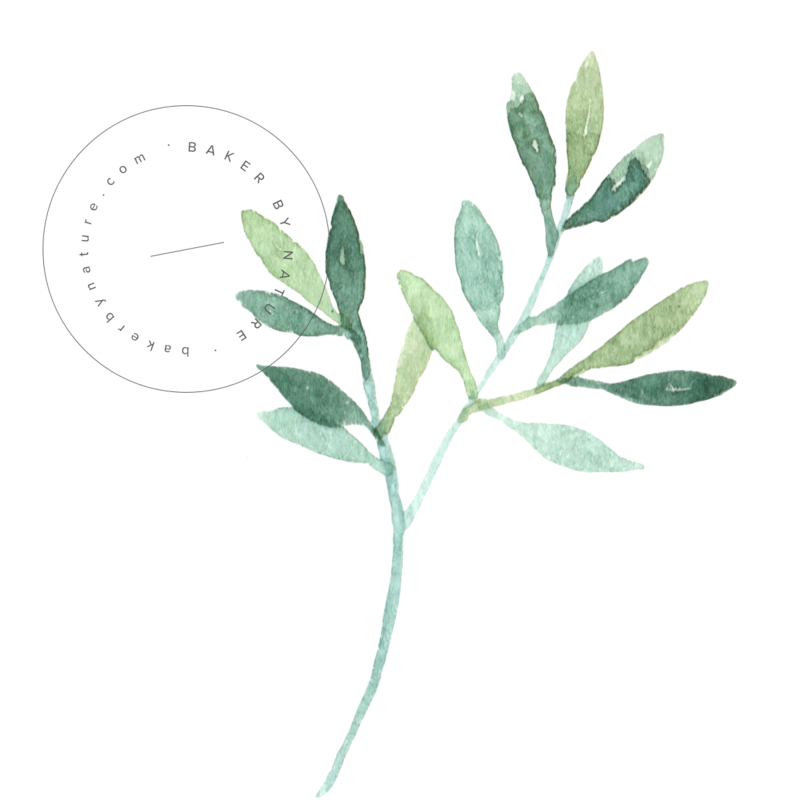 Have you used any protein powder with this? If so what kind/brand? Hi Kristen. I have not tried protein powder, but I think it may work. I honestly have zero experience with them, so I can’t offer guidance on brands. 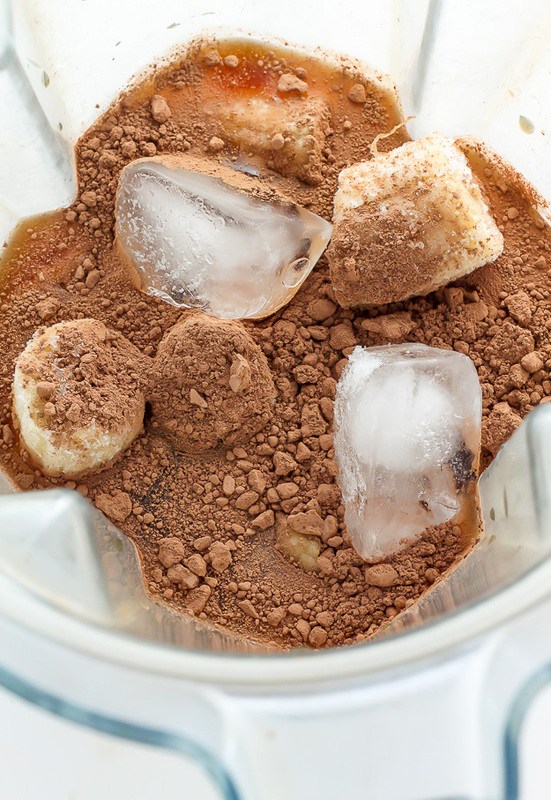 What happens if you don’t use frozen banana chunks? I have bananas that are room temperature and i don’t have time to freeze them. Hi Maya. 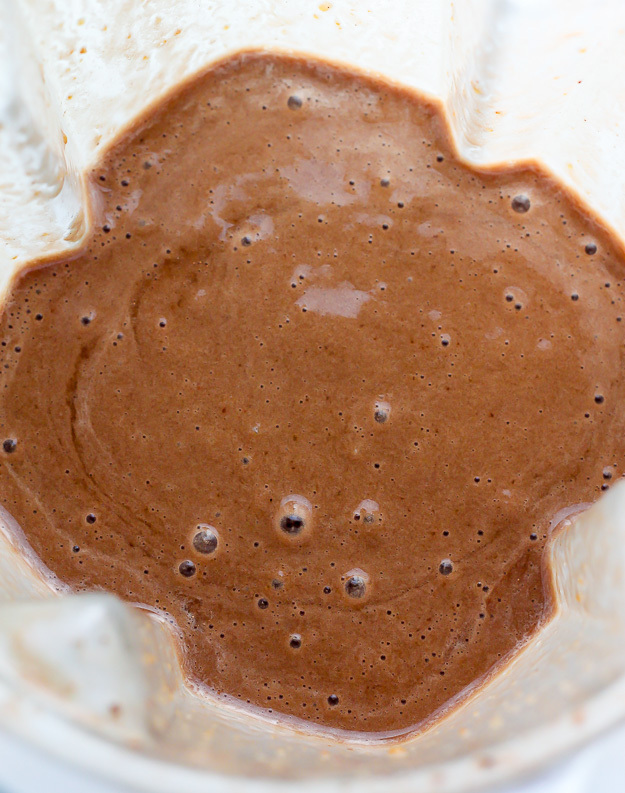 The shake will much much less thick and creamy if you don’t use frozen bananas. Is there any way to make this without banana? Question.. How much coffee beans do you put in your cold coffee.. So how much in total of 1 1/2 cups of water? Hi Sarah! I use a french press and put 2 tablespoons for every 6 ounces of cold water 🙂 Hope that helps. So how much roughly do you think I should put in the 1 1/2 cups of cold water you mentioned in the Ingredients. Sorry about that. Can I use instant coffee for this? If so, how many tablespoons of coffee would you recommend per cup?